The following outlines the requirements of your final assessment for BSBLDR501 Develop and use emotional intelligence. You are required to complete all tasks to demonstrate competency in this unit. 1. Written questions Students must correctly answer all questions. 2. Emotional intelligence self-assessment – Part A Students must assess their own emotional intelligence. 3. Emotional intelligence planning – Part B Students must participate in a meeting with their assessor and use their own self-assessment and assessor feedback to develop an emotional intelligence plan. 4. Staff emotional intelligence project – Part A: case study review Students must review case study information and answer questions. 5. Staff emotional intelligence project – Part B: role play meeting Students must participate in a role-play meeting. All assessments will ensure that the principles of assessment and rules of evidence are adhered to. The principles of assessment are that assessment must be valid, fair, reliable and consistent. The rules of evidence state that evidence must be sufficient, valid, current and authentic. If reassessment is required, you will be given the chance to resubmit the assessment task. You will have up to three opportunities to resubmit each assessment task. If, after the third attempt, the assessment is still not satisfactory your trainer/assessor will make alternative arrangements for assessment. This is an open book test.Students need to answer all of the written questions correctly. Answer should be provided on a separate sheet of paper with the assessment task number clearly indicated, the students name and each question clearly marked. Answers should be detailed and as a minimum will be at least one paragraph depending on the question. What do students need to complete this assessment? What do students have to submit? Discuss the concept of emotional intelligence and its importance at work. Explain each of the five elements of emotional intelligence as defined by Daniel Goleman. Explain why self-regulation is an important quality for a manager. Discuss each of the four types of abilities as identified in the Emotional Intelligence Theory developed by Caruso and Salovey (2004). 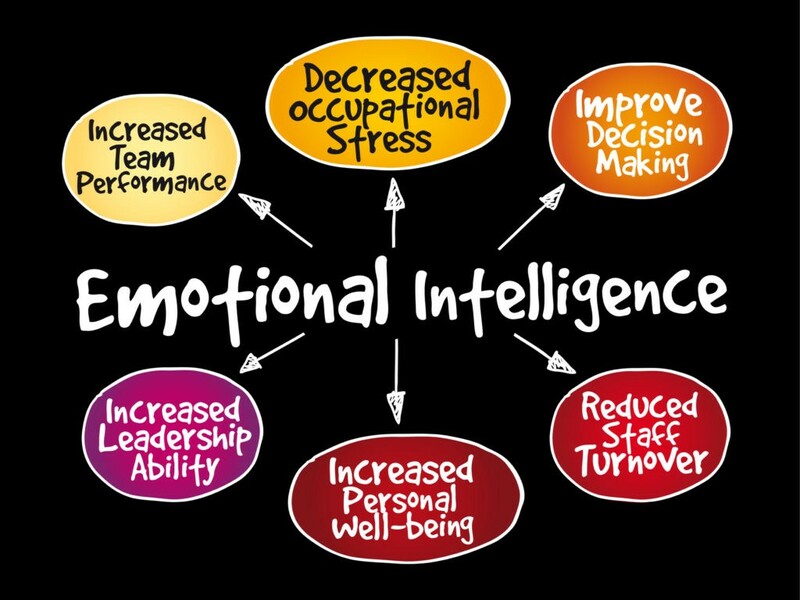 Discuss why emotional intelligence is important in relation to performance at work. Outline at least three characteristics of workers who have high emotional intelligence. Discuss why emotional intelligence is important in relation to managing stress and physical health. Discuss why emotional intelligence is important in relation to managing workplace relationships. Discuss why might Chinese people typically not show enthusiasm in front of a superior? Discuss why is it important to recognize cultural differences in emotional intelligence? Give an example to illustrate your answers. What bodily symptoms may show that a person is stressed? List at least five. Explain how stress can also be both a positive and negative force. Discuss two factors that are important in cross-cultural communication. There are two parts to this project. In Part A, you will need to identify aspects of your own emotional intelligence by completing a personality test and a self-assessment. In Part B of the assessment, you will need to develop an emotional intelligence development plan, which you will develop based on your own self-assessment, as well as feedback from your assessor provided to you in a meeting. For this part of the assessment, you will need to complete a personality test and respond to a number of questions to assist in identifying your emotional strengths and weaknesses and the impact of your emotions in the workplace. Students must provide their answers to questions in a word document, sent to the assessor via email. Completed self-assessment (send via email to your assessor). Complete the personality test at the following link. Take a screen shot of the final results page of the test to send to your assessor. Now answer all of the questions below using the results of the test to guide your answers. Each question should be answered in approximately a paragraph and be written in clear and concise English. Cut and paste the questions into a word document and submit your answers via email to your assessor. Discuss your ratings for each of the five factors as identified in the personality test results. The discussion should include your score for each of the factors and how you rate on each factor, as well as your strongest personality trait as shown by your highest score. Reflecting on the results, what stood out for you in terms of what it tells you about yourself as a person? Thinking about the questions asked as part of the personality test and your learnings as part of this unit, discuss five of your emotional strengths? Thinking about the questions asked as part of the personality test and your learning as part of this unit, discuss five of your emotional weaknesses? Discuss how you believe the emotional strengths you have identified above help your workplace performance and relationships. Discuss how you believe your emotional weaknesses hinder your workplace performance and relationships. Complete the following table about personal stressors at work. Identify at least four sources of stress most likely to result in workplace stress for you, your stress response and actions that you can take (or have taken) to manage stress. The outcome of this part of the assessment task will be an emotional intelligence development plan. Students are required to participate in a meeting with your assessor during which your assessor will provide you with some feedback that you will need to use, as well as your own self-assessment, to complete the emotional intelligence development plan template. Following completion of Part A of this assessment task, you will be required to meet with your assessor to discuss your self-assessment of your emotional intelligence. Your assessor will have reviewed your self-assessment and screen shot of your results from the personality test and will be ready to discuss this with you and provide you with feedback about strategies for improving emotional intelligence based on their discussion with you and a review of the document you submitted. Your assessor will ask you questions about your self-assessment and provide you with feedback as above. After the meeting, using the feedback from your assessor, as well as your self-assessment, complete the emotional intelligence planning template. For this part of the assessment, you will need to review a case study and answer questions. Students must answer all questions correctly and provide their answers to questions in a word document, sent to the assessor via email. Email to assessor with word document attached with answers to al of the questions. Each of your answers should be approximately 1 paragraph. Review the following case study information. You are the Manager of a team of telemarketing staff for an on-line rental property business. The business specializes in finding both commercial and residential tenants for landlords, as well as matching landlords with tenants. All staff work an eight hour day from 9 am to 5.30 pm with 30 minutes for lunch. Beryl, aged 62, has been with the company for 3 years. She was born in Australia. She has worked in sales most of her life. Beryl was hoping to retire at 60 but personal circumstances have meant she is continuing to work. Beryl is a very hard worker and achieves above the required results for signing up tenants and landlords. One of the telemarketers that Beryl is responsible for is Yuko. Yuko is Japanese, aged 40 and has been in Australia for 2 years. She speaks good English and gets on with her team members although she is generally quiet. She has always been very reliable with her attendance at work. As the Operations Manager of the company and the overall manager of the team, you have noticed recently that there is tension between Beryl and Yuko. You have noticed that Beryl often ignores Yuko or addresses her though another member of the team. You have also noticed Beryl whispering to other workers and you sense that this is in relation to Yuko. Yuko’s work performance is suffering and she is not making the required amount of daily calls to sign up new tenants and landlords. Yuko has also become more withdrawn recently and tends not to sit in the staff room anymore or attend staff social functions. This situation is stressful for you as the Manager as the team’s performance targets are not being met and the conflict within the team seems to be having an effect on other staff members with sides being taken. You have heard through another member of staff that Yuko feels that Beryl is racist and that Beryl complains that she can’t understand Yuko’s accent and that she feels Yuko is never very enthusiastic about her work. You would like to resolve this situation by getting Beryl and Yuko to understand each other’s perspectives and to manage their emotions at work. At this stage there are no options for moving either member of staff to another team. In this role-play, you need to play the role of Manager and conduct a meeting with both Yuko and Beryl individually. You will be assessed on your performance for both meetings. You do not have to submit anything for this assessment task. Your assessor will observe you in the role of the Manager conducting a meeting with Beryl and with Yuko.